In this project we study the impact of adverse weather shocks (rainfall shocks) on child mortality in rural areas of Uganda and the extent to which simple adaptive health promotion interventions can mitigate the negative effects. To do so we exploit data from a randomized controlled trial (RCT) of an innovative community health promoter program that was implemented across 214 villages in rural Uganda. Results from the RCT highlight the substantial health impact of the program: over a three-year period under-5 child mortality was reduced by 27%. We then combine high-resolution climatic data with household information from the study. Using two sources of random variation—natural variation due to local rainfall variation over time and space and induced variation due to treatment assignment—we show that the program mitigated the negative relationship between rainfall and child mortality that we observe in control villages. 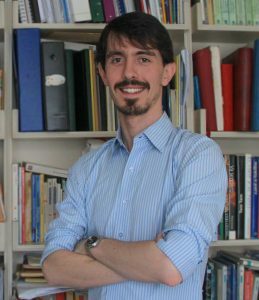 Andrea Guariso is an Assistant Professor of Economics at Trinity College Dublin and member of TIME(Trinity IMpact Evaluation unit).He is an applied economist with prime interest in development and political economics. You can find his CV here.